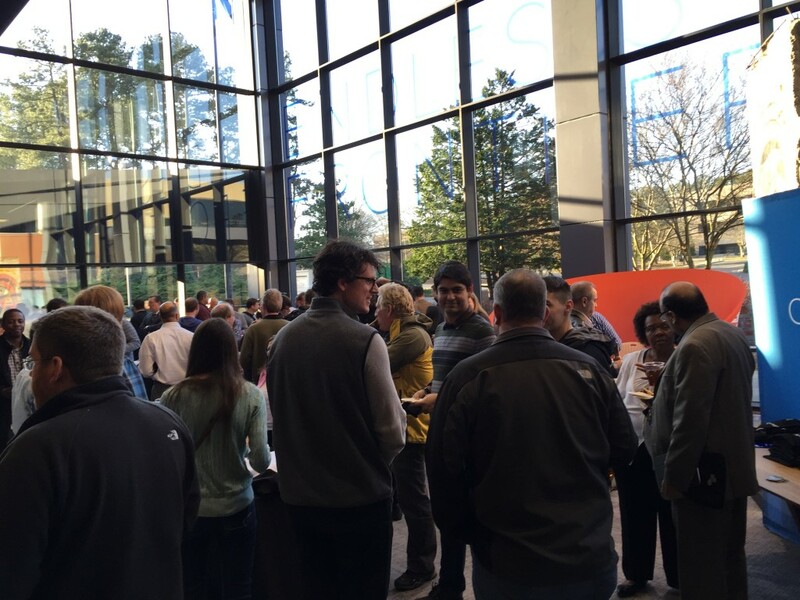 Attendees gathered in The Frontier’s Atrium before the event started. The dojo is officially open for business at The Frontier in Research Triangle Park! On Tuesday evening, leaders from IBM, RTP and the Cloud Foundry joined forces with 150 cloud enthusiasts to celebrate the launch of the new space. Open to all developers, the IBM Cloud Foundry Dojo is a physical place where participants can accelerate their skills on the Cloud Foundry Code base. Mentors will help developers increase the number of code committers to the Cloud Foundry program. Through six week trainings at the Dojo, developers are put on a fast track that allows them to quickly gain committer status on open source projects. This is the first IBM Dojo to be located off of an IBM campus, and The Frontier is excited to welcome the group into the community. RTP and IBM have strong history that goes back to the 1960s. The new Dojo facility is a great representation of a historic bond being made stronger through innovations – not just in technology, but in workspaces and attitudes. Bob Geolas speaks at the IBM Cloud Foundry Launch at The Frontier. 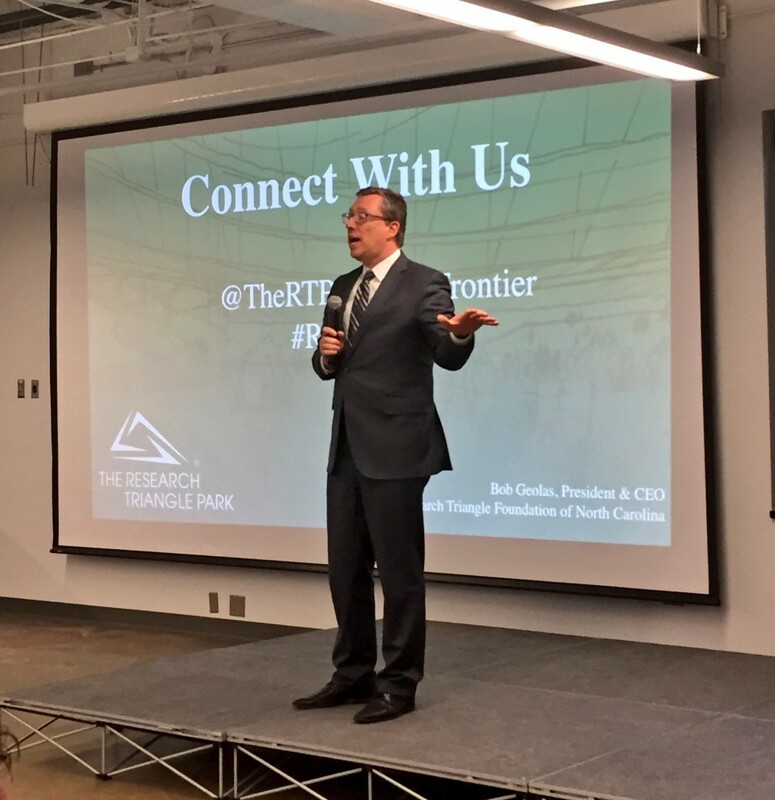 Angel Luis Diaz, IBM VP of Cloud Technology & Architecture, was quick to note that while IBM is spearheading the project, anyone from companies in and around RTP are welcome to use the service to accelerate their training. This is one of the reasons the dojo is located outside of formal-IBM walls. Being located on the first floor of The Frontier allows increased access to those that are interested in accelerating their skills. 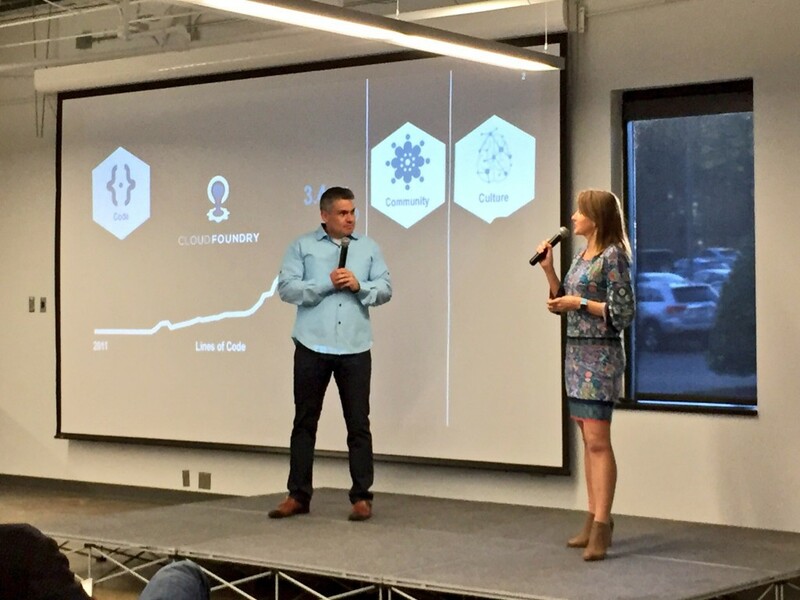 Angel Luis Diaz and Meg Swanson on stage speaking about the growth of Cloud Foundry contributors. 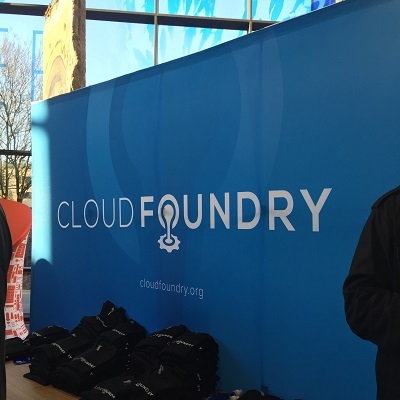 Since launching in 2013, the Cloud Foundry has grown from having around 700 contributors to more than 2300 today. The goal is to continue growing the amount of developers that can contribute in order to keep growing the amount of code. Interested in learning more about training opportunities with the dojo? Click here to learn more about the process.